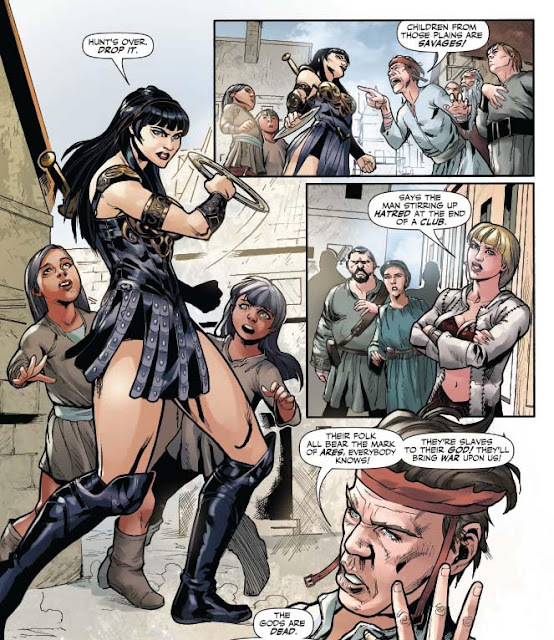 I was excited about having a new Xena: Warrior Princess comic. I've read the first three, and so far I'm enjoying it. For us subtext fans there's not much in the first three comics, except for one little part, shown on bottom right of the picture to the left. Otherwise it's your typical adventure. It takes place right after season five, starting when Xena and Gabrielle end up 25 years in the future. That disappointed me since I'm not a fan of season five, however I understand starting there to have new stories. So far my opinion is that it's not bad. Nice to see them in something new. The artwork is good. 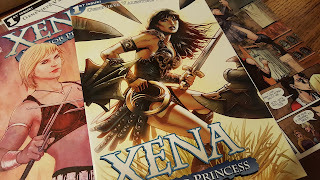 Although the depiction of Xena is a much better likeness of Lucy Lawless than Gabrielle is of Renee O'Connor. The likeness' on the covers are far better. Like you stated, nice to see them in something new. 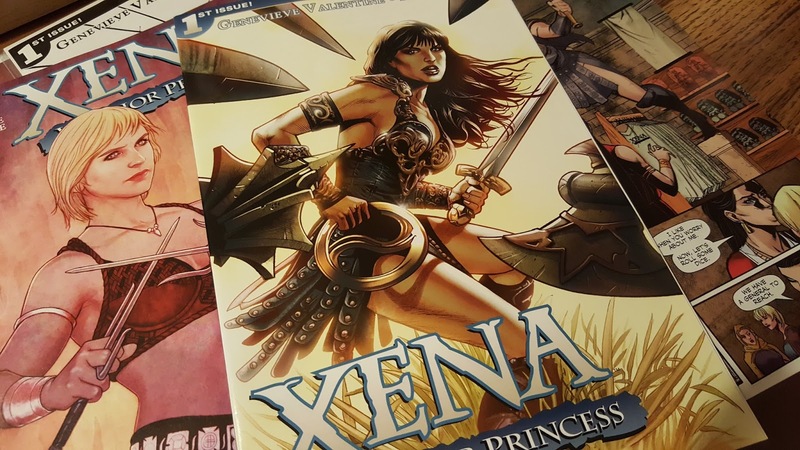 Even tho I'm not a big comic book reader anymore, good to know they're out there..
Now that you have probably read also the following issues, what do you think about the new approach of the author to the special relationship between Xena and Gabrielle? For the first time ever they share real kisses. It's a new sharp turn in the storyline of the saga. No more subtext, but absolutely main taxt. Nothing will be the same anymore.